On Sale Now! 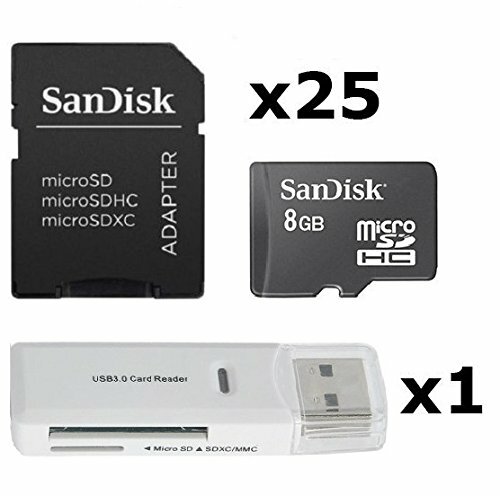 Save 3% on the 25 PACK - SanDisk 8GB MicroSD HC Memory Card SDSDQAB-008G (Bulk Packaging) LOT OF 25 with SD Adapter and USB 2.0 MicoSD & SD Memory Card Reader by SanDisk at Got Busted Mobile. MPN: 4326596685. Hurry! Limited time offer. Offer valid only while supplies last.